Here are 3 amazing Independence Day recipes to celebrate July 4th! 1. Independence Cake – so impressive! 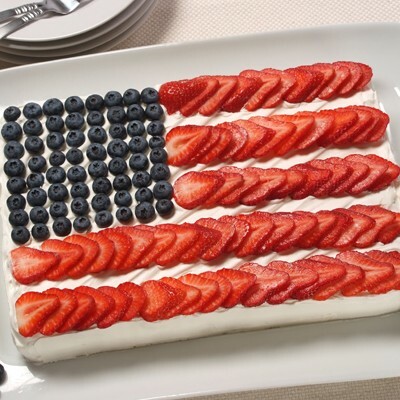 This patriotic red, white and blue cake shown above is perfect for Memorial Day, 4th of July, or any time of the year. 2. Toll House Stars & Stripes Cookies – so easy! Celebrate the freedom to express your creativity with this recipe for these Stars and Stripes Cookies shown above. An inspired display of American pride – these star-shaped cookies are decorated with red juicy strawberries and plump blueberries on velvety white cream cheese – all topped with a sprinkle of chocolate chip mini morsels: the perfect Independence Day treat. 3. Cherry Berry Cheesecake Pie – so delicious! 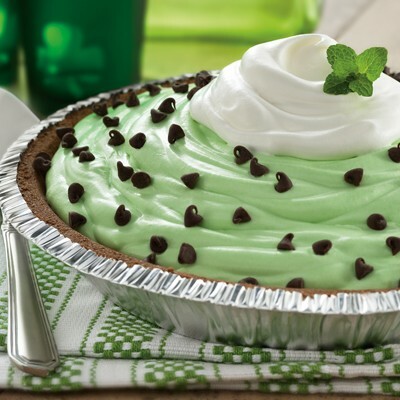 Feel extra lucky (even if you’re not Irish) with this refreshingly decadent mint and chocolate pie, shown above. 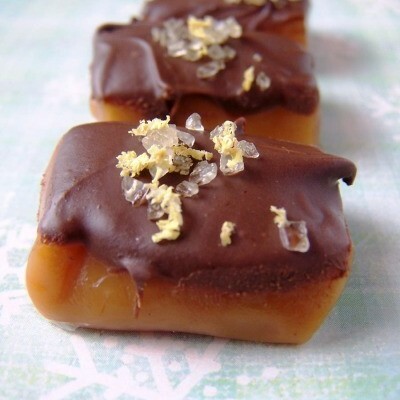 Just use Irish Cream coffee creamer flavor instead of the vanilla caramel and you have instant Irish flavor! Topped with fluffy whipped cream and a sprinkling of cocoa, celebrate St. Patty’s Day (or any day) this year with the delectable chocolately delight shown above! This flavorful beverage features a mix of sparkling water and 100% all natural fruit juice topped with a scoop of tropical or berry rainbow sherbet. Celebrate the ‘eatin’ of the green’ on St. Patrick’s Day with the edible shamrock above. Topped with a delicious pesto spread and sliced prosciutto, this tasty delight adds a flavorful twist to a morning classic. This sweet version of the traditional Irish favorite above features a taste of chocolate-covered raisins in every bite. Who said playing in the “mud” wasn’t a good idea? 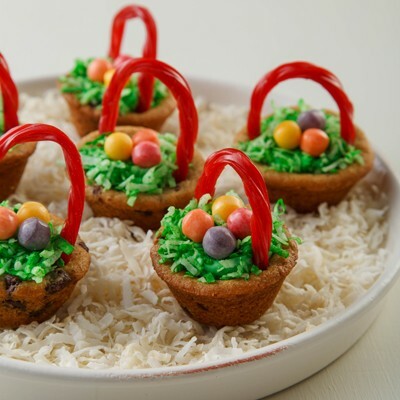 Made from a combination of chocolate cake, chocolate milk and frosting, these St. Patty’s Day delights are dipped in colorful candy sprinkles and shamrocks for added luck – a festive twist kids will love. On my latest trip to Europe, a birthday eating/drinking tour across Rioja, Basque country and Bordeaux, with romance provided by the Baker, I received the most perfect birthday gift of all: French macarons. 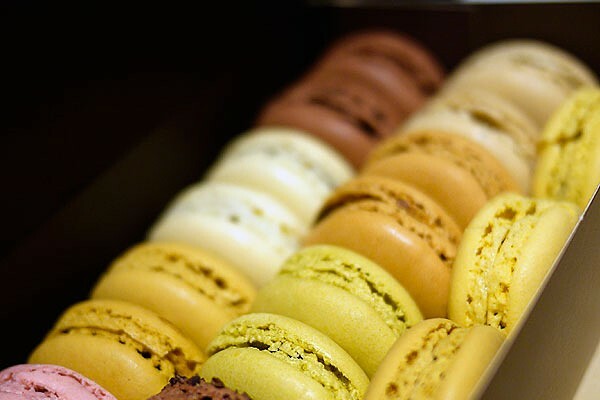 A box of classic, assorted macarons by a well-known maker purchased in the Paris airport is not cheap. It’s gorgeous in its silky brown covering, tied with a ribbon, holding its precious contents elegantly. Patiently concealing its perfect rows inside. And once you open it: such pretty colors! 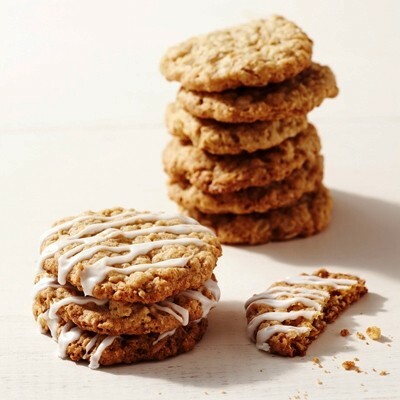 Then take a bite: the airy, crispy ookie plus creamy middle embodying the perfect essence of chocolate, lavender, pistachio, coffee. It’s so rich and lifelike, you have to give half to your partner, so you can watch his face while he takes a bite and tastes this sensation. Doing it with someone you love is much better than solo; this experience has to be shared. You can whip the box out and share another flavor over espresso in Madrid, again with the cava in your hotel room before dinner, and on long drives through the Spanish countryside. It’s heartbreak when the last macaron is eaten and all that’s left are crumbs, colorful crispy pieces of their former glory. But even days-old macaron crumbs are fulfilling when shared with the right person in the right place.